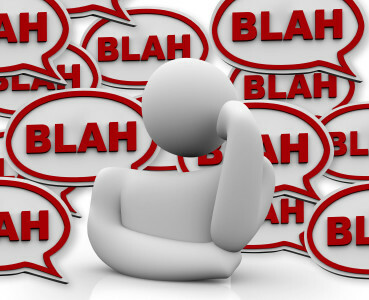 Can Enterprises learn to talk WITH Customers rather than AT them? I read with interest Paul Greenberg’s, “Random Thoughts on CRM.” They don’t call Paul the “Godfather of CRM” for nothing, and this post got some old neural circuits firing again just like it was yesterday. Customer Engagement is nothing more than Social CRM writ large. Or if you prefer to be a little less dramatic, Customer Engagement is the Second Coming of Social CRM. Whether you believe Social CRM failed, was an idea before its time, or is simply percolating along and growing steadily, I can’t think of a better way to describe Social CRM than to say that it’s all about Customer Engagement. The difference between Social CRM and Conventional CRM is almost entirely a matter of perspective: are you talking WITH your Customers or talking AT your Customers? CRM talks AT them. It values them solely as leads to be qualified and sold to or as an expense area in the case of Customer Service to be minimized. Paul’s list of Customer Engagement activities is nothing more than a list of what sorts of conversations can be had WITH Customers and what tools may be available to facilitate those conversations. That problem of talking AT your Customers (and yes, “Customer” must be capitalized in this era when those who can’t learn to talk WITH them will start to increasingly lose) is a cultural problem born of seeing Customers as accounting line items and metrics rather than as PEOPLE who can choose to do business with us or not. Social CRM skeptics back in the day (seems so long ago since I was part of that world) danced around the cultural issues–they were sure Social in the Enterprise couldn’t work just because Enterprises were all about Command and Control and not what it takes to be Social. Not all Enterprises are, BTW. Companies like Southwest Airlines come to mind as counter-examples. But by and large, Enterprises are very much about Command and Control. I believe that a close relative of the Innovator’s Dilemma is what I will dub the “Politician’s Dilemma.” It’s what happens when an organization grows large enough that the primary skill needed for advancement is not creativity or the ability to make good decisions, it’s the ability to be a good politician. It’s been the undoing of at least as many large organizations as the Innovator’s Dilemma, and it is also closely related to those pesky cultural problems that prevent Enterprises from seeing Customers as Customers rather than $customers (and I wish I had an even smaller font for “customers” and a bigger one for “$”). Here’s where I wonder about Paul’s view that Customer Engagement is, in fact, going to eat CRM. I wonder because I can’t see much evidence these cultural biases that prevent Enterprises from being good at CRM have even remotely diminished. Perhaps over time the Internet will exact a toll on their callous disregard for real Customer Service. Certainly the frictionless exchange of information about what a Company’s products are REALLY like and what it is REALLY like to deal with that company help. But, our fixation in the 80’s, 90’s, and 2000’s with reducing regulation and empowering ever larger monopolies (and hence the 1%) has been a powerful counterbalance to any renewed sense of egalitarianism the Internet brings. Simply put, it’s business as usual for these companies. What are the chances that SAP, Oracle, and Microsoft can actually learn how to talk WITH Customers and not AT $customers well enough to participate in Customer Engagement at a more empathetic level than, say, researchers watching mice in mazes? Salesforce.com – They are getting so big and so process driven that a lot of the creativity that characterized the company is starting to seep out. SAP – The continuous politics at this company are forcing it to step on its own feet every time they make progress – and we start again. Oracle – They are totally locked and loaded into their customer experience messaging and it’s the wrong message to send to the marketplace. This prevents them from thinking in terms of ecosystems – which is a 21st century requirement for a large company’s success. Microsoft – They are moving quickly but still don’t have the messaging down at all. They send mixed messaging signals to the market and they are hard to read. They need to clarify this right away, since they have successfully accomplished a radical transformation of their customer-facing applications for the better. Now the world needs to hear it. Ask yourself whether the essential cultural virtues needed to thrive in a world of Customer Engagement are likely to be strong or weak in the light of those criticisms? 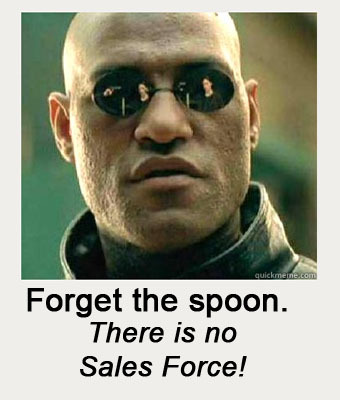 Even for Salesforce, eliminating personal initiative and emphasizing management by excessive process is a sure recipe for stopping any real conversations with Customers. It’s hard to change for all the same reasons that once the Peter Principle has taken hold, you can step back from it. People are hired by bosses who hire the sort of people they want to hire. Bosses who think of Customers as $customers don’t hire people who think “Customer.” They hire more $customer people. Sure, you can add a few Customer lovers here or there, but they drown in the sea of $customer people. It’s a vicious cycle that can’t be undone. Command and Control never goes softly into that Good Night, least of all because it is very Commandingly In Control. Optimistically, it means that these four will eventually give way to a New Guard of some kind. I’d like to think that’s true everywhere and in every industry that finally understands the Customer is King. Taking that view is a powerful Engine of Growth for new ventures. It is disruptive in much the same way SaaS has been to Enterprise Software because where SaaS was a business model change that could not be achieved, Customer Engagment is a Cultural Model change that is too hard to achieve. It’s relatively easy to hire a new CEO or merge to make a new entity. So far, we are tragically short of good Existence Proofs that this New Wave is underway. There are precious few Southwest Airlines and an endless stream of Ego-Du-Jour companies that power to the forefront or that cling tenaciously to the monopolies they already own. Fundamentally changing the culture of a company? That’s darned near impossible. I’m not sure I’ve ever seen a successful example of it outside the fawning press releases and interviews telling us how transformative some new CEO has been, all of which turn out to be false hopes. More’s the pity. Bob, I read the post. I’m more optimistic than you on this, though I really liked your post. Also, these are random, and to be fair to the Big 4, I also noted what I liked big picture about each of them too. I just don’t have a black and white view of this at all. its a nascent, roiling market at the moment and lots to come of it hasn’t happened yet – and is indeterminate. Also, I agree with you totally that this is what you called Social CRM writ large though my take is a little different. You’ll see more on this in a series of major pieces that will be coming leading to the next book. Social CRM was the progenitor for customer engagement – it didn’t fail, like social business morphing in its short life to digital transformation, social CRM now CRM morphed to something much larger and more encompassing that the parent was/is. CRM becomes the operational components of the engagement market. You are a helluva writer, by the way. Seriously good. Paul is not just a brilliant CRM analyst, but a gentleman and renaissance man of the sort that is seldom seen these days. I know him via my past life in Social CRM and the Enterprise Irregulars. Thanks Paul!